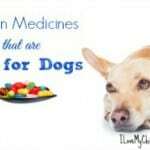 Many medications for dogs should be administered orally. Oral medications can be in the form of a tablet, capsule or liquid. If necessary, tablets can be crushed and capsules can be dissolved in water and given with a syringe. Your dog’s veterinarian will tell you if your dog’s medication should be given with food or on an empty stomach. If the medicine can be given with food, you can make a meatball of canned food or cheese with the tablet or capsule on the inside. It is a good idea to make a “test meatball” first and, if your dog swallows this meatball without chewing it, he/she will probably swallow the next meatball containing the medication. 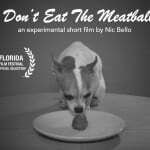 If your dog chews the meatball and tastes the pill, it will be harder to medicate on a second attempt, therefore, the meatball method should only be used on dogs with a good appetite and you should use a food that your dog likes a lot. Also, once the pill is wet by the dog’s saliva it will start to disintegrate and it will become difficult to handle. You should decide the best method for administering an oral medication based on your dog’s character, appetite and the indications of your dog’s veterinarian. I often cut up a hotdog in smaller pieces and give a piece to each dog, saving the one with the pill for last. The dog that needs the pill, sees the other dogs wolfing down their hotdog and will automatically do the same. You can try pill pockets too. Two of my dogs love them and never notice the meds. The other one eats around the pill. 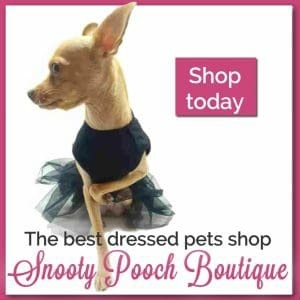 In cases were the dog will not swallow the meatball with the medication on it or when your dog’s veterinarian indicates that the medication should be taken on an empty stomach, you should use other methods of to medicate your dog. Below is a step-by-step description of how you should administered pills (tablets or capsules) and liquid medicines to your dog. Grasp our dog’s muzzle using your fingers to press the skin against the teeth. 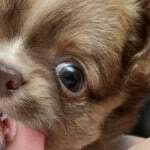 Slip your left hand’s thumb into the mouth and press up on your dog’s palate, keeping the lips against the teeth. It is important to keep the lips folded over the upper teeth to protect your hand from being bitten. Place the pill on the base of the tongue at the back of the throat. 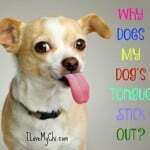 If you are not able to get the pill far enough over the base of the tongue, the dog will spit it out. You may need to use your fingers to push the pill over the back of the tongue. Keep the head slightly elevated, close the mouth and hold it closed while you rub the throat or blow into your dog’s nose until he/she swallows. Examine your dog’s mouth to make sure he/she swallowed the medication. Load a syringe with the amount of liquid medication (or dissolved pill) indicated by the veterinarian. Slightly elevate your dog’s head. Pull one of the sides of lips up to form a pocket so that the liquid can enter between the teeth to the throat. Administer the liquid slowly making sure that your dog is swallowing it. 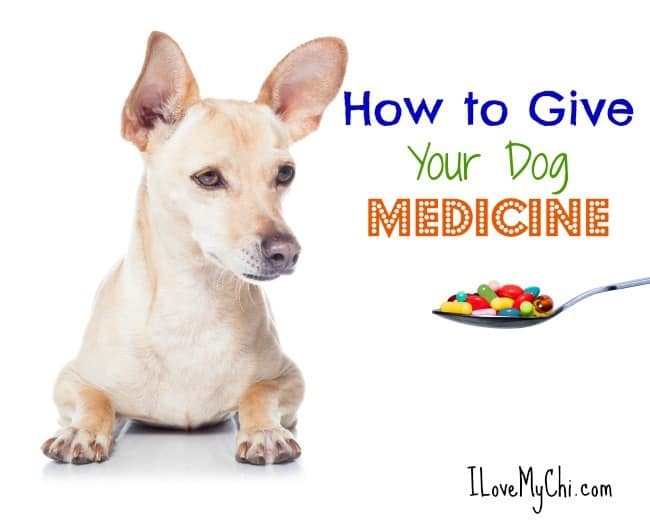 So do you have problems giving your dog their medicine? How have you solved it? This is a really helpful post – I didn’t know why the ‘meatball’ method only worked, in part, once…but now I do! Those are great tips! I have a dog who is pill smart and the only thing that works now is rolling the pill in peanut butter. My other dog will eat her pills in pill pockets but my dog who is pill smart refuses to eat those. Different things work for different dogs. I pet sit for a dog that has to have a thyroid pill twice a day. She will only take it in peanut butter but sometimes she will lick all the the peanut butter but not eat the pill. My dog loves spicy food. I cook spaghetti or chili Frito pie etc. While he is outside I crush his pill in the wrapper. He has a strong sense of spell. I put it in a small bowl and mix with the food, I put it on the table and take some from. my plate to mix with it. I try not to put too much food in the bowl at one time. If he sees the package or smells the pill he won’t touch it. LOL, it takes a lot to outsmart a Chi sometimes, doesn’t it Sammie. I thought wriggly cats was difficult, there is definitely a skill to pill popping! Oops our cat is a bit big (sorry) Can you delete the beastie? I’m very lucky that the cat who regularly takes medication, swallows it easily and on command. That’s great! I thought cats would be harder than dogs. Thankfully none of my cats regularly require medicine. When they do, I can usually give it to them without any trouble. Pills I just hide in their food, and liquids I hold them on their back by their scruff so their mouths open and then squirt it in. They all do pretty well. 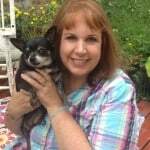 I know that there are many pets out there who are hard to medicate though – these tips are great! I use cream cheese too sometimes. Layla is a cutie pie! The Goldens do really well with medicine, thanks goodness! Cheese Whiz… that’s the only way I can pill my dog. I never thought about Cheese Whiz. Good idea Sherri! Medications can be so tricky! These are great ideas. I love that you use what your other dogs are doing to influence the behavior of the dog that needs the pill. That is genius! I had a cat before Cinco and Manna that would need medication and we would coat it in a little bit of butter. Somehow that worked! Thanks Robin. Butter is a good idea too! I just stuff it into Mr. N’s food and he’s pretty good about eating it. That’s good. Mine would just eat the food but leave the medicine. Really helpful tips I usually either use the Greenies pill pockets or coat the pill with peanut butter. Both work well. I have always been amazed at how savvy my dogs have been about avoiding pills even when “hidden” in food. But generally peanut butter or soft cheese has worked the best. Right down the hatch it goes, pill and all. They are smart little critters aren’t they Val? We used to give our Golden his meds in hot dog bites. I have tried all of these methods over the years. Different ways work for different dogs. Bentley gets pills covered in Dog for Dog peanut butter and it is soooo easy. BOL! You’re right M.K., different methods work for different dogs. Great information! I guess it makes sense that some companions won’t be tricked twice – meatball or not! GREAT POST! As a CVT, Ive had to pill some animals that resist at every turn. Sometimes you need to get creative… especially with cats! I bet you do need to get creative! I’ve had to give my dogs liquid medication before, and I was leery about doing it. So I invented a way that works great for my dogs who are super food motivated. I simply measure out the dose and put it in a small bowl. Then I tear off a small piece of bread and place that in the medication. It works like a sponge, absorbing the medicine and then as weird as it sounds, my dogs will eat it. Even though the dogs don’t like the taste, they KNOW it is bread, so they eat it anyhow. That’s a great idea Beth! So thankful that since I stopped fostering I haven’t had to give any medication. Very helpful information in this post. Great post! I do the slide-in-the-mouth with meds and supplements for mine who won’t just take them. (I have three Huskies who actually like the taste of their supplements and will willingly eat them!) Gibson, my one Husky boy who was an epileptic, I used to slide them down myself similar to what you explain above to be sure they all went in. Thanks for a great post! oops – did not realize that image was soooo big! Great advice. Especially pointing out that our companions get wise to our ways (and won’t be tricked twice). My mom has discovered that the pill pockets are the best way to give her dog medicine. They do work great for many dogs. Great tips! Fortunately Hank and Tim will easily swallow meds that are hidden in cheese, a hot dog or pill pocket, but I have had dogs in the past who could detect pills and spit them back out unless I held their mouth closed. Sometimes it helped if I tossed a couple of tidbits for them to catch with no pill inside and then slipped in one with the pill and then quickly threw another before they had time to eject the pill. That’s what I do too Vicki. Great tips here and it’s nice that you included a video to show pet parents. I have no issues and usually sneak the pills into food or crush them up with a pill crusher when I can and it is okay to do so. Good idea of crushing up the pill first Becky. 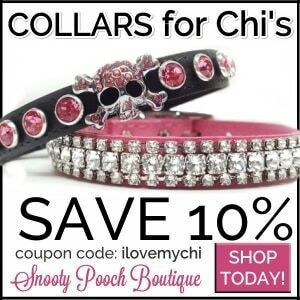 One of my chis has to have heart medication 2x a day (1 pill cut in half). I take each half and cut it in half, then put each pill portion inside a small piece of meat. Unless she is off her food (she occasionally doesn’t want to eat anything in the morning), she will eat the meat without any problem. If she doesn’t eat it at breakfast, she gets the same meat for lunch. Her heartworm medication is a little more difficult; it’s a larger pill and I have to cut it into several pieces in order to hide it. I do that for both of my girls. I also give both my girls (they are 10 years old) cosequin. I usually crush that pill and sprinkle it on a squirt of Reddi Wip. Most of the time, they both lap that right down. I haven’t had to give my cat any pills since I adopted her. Her heartworm medication is topical; she acts totally offended whenever I put it on the back of her neck. Both my chis were that way also, so I switched to a pill for them. That’s good they are easy to give medicine too June. I have one that will eat all around the pill or bits of the pill and leave the pill. I can’t fool her.